ENJOY A DAY OF FREE FARMYARD FUN! Round up the kids for a visit to Broad St. 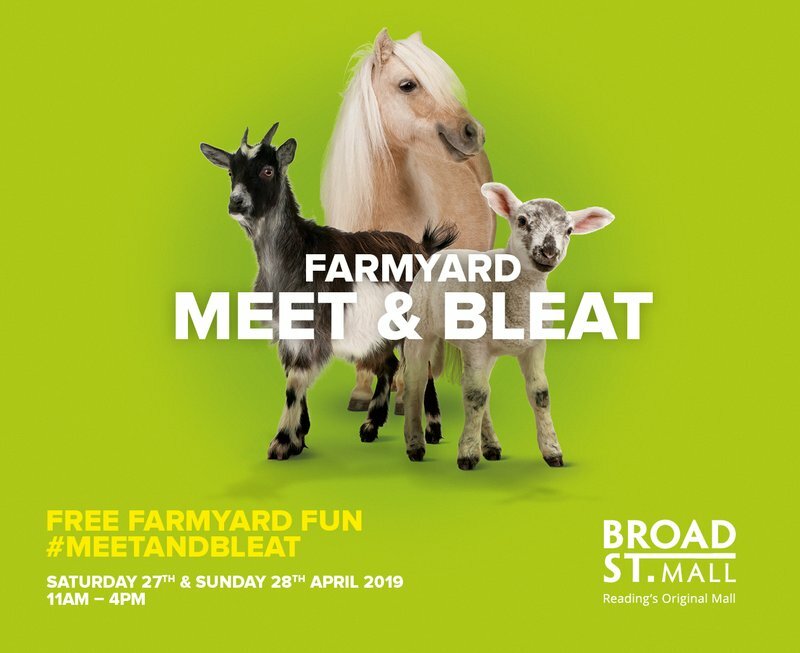 Mall on Saturday 27th and Sunday 28th April, when you can see a variety of farmyard favourites including ponies, goats, lambs, ducks, chickens, rabbits and guinea pigs, who will be here to meet and bleat you throughout the weekend. There will be the opportunity to get up close to the animals, learn all about them and even feed them at selected times across the weekend. Full of inspiration from meeting the real thing, your little ones will also have the opportunity to be transformed into their favourite animal for FREE, by the centre’s face painting team and a balloon modeller will create FREE balloon replicas of a variety of farmyard regulars to take home. It’s sure to be a fun-packed weekend all round!